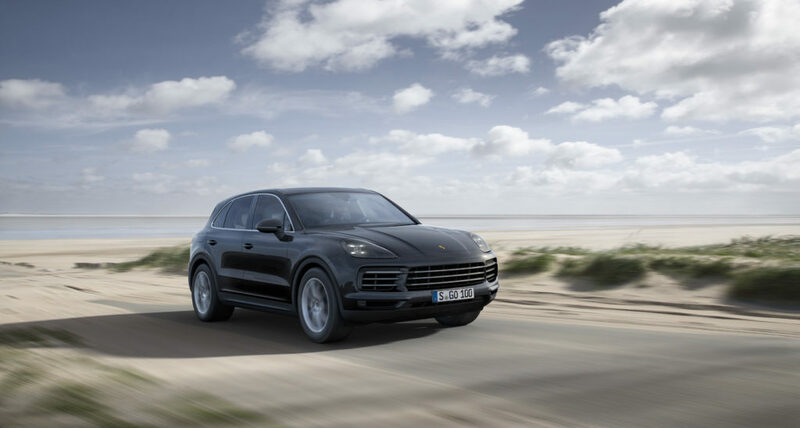 Collision repairers should expect to see more aluminum on the exterior of the third-generation Porsche Cayenne models debuting next year. On the whole, it seems like Porsche is using a lot more aluminum this edition. The 2019 Cayenne starts at $65,700 and goes on sale in mid-2018. Porsche sold 15,383 of them last year. Porsche-certified shops might also want to pay attention to what Jalopnik reported Thursday were some new structures designed to beat the Insurance Institute for Highway Safety’s small-overlap crash test. The test debuted in 2012 and involves ramming the corner of a vehicle into a structure at 40 mph. It typically requires additional engineering on an OEM’s part to ace besides that needed for a frontal or moderate-offset test — and it adds another element of crashworthiness a repairer must take care to preserve. 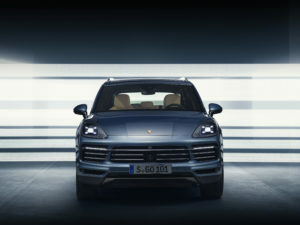 Jalopnik on Wednesday toured the body-in-white of the 2019 Cayenne with Porsche SUV body-in-white team leader Rudiger Jahn, and shops won’t want to miss the excellent photos of these protective features accompanying the article. The 2019 Cayenne will manage collision energy and protect occupants from intrusion with “steel bolstering in the wheel well” paired with “a diagonal member that ties that bolstered wheel well structure into a central longitudinal beam,” according to Jalopnik. “The idea is that the energy from the crash that pushes the inside of the wheel well will be transferred through that diagonal member, into the strong longitudinal beam, reducing intrusion,” Jalopnik wrote. The front subframe also “precisely orients the wheel during a crash” to further minimize intrusion, according to Jalopnik. “If you look at the vehicles that pass IIHS’s rigorous test, you’ll notice that they all turn the driver’s side wheel in a particular way,” Jalopnik wrote. The car has staggered front and rear tires with diameters between 19 to 21 inches. Rear-axle steering is an option. Optional Porsche Dynamic Chassis Control gives the car stabilizer bars powered by a 48-volt system. This feature also is among those analyzed by “4D Chassis Control” first seen on the Panamera, which analyzes what’s going on with the chassis and suspension and tweaks it automatically in “virtually instantaneous” time. Basically, damage to the chassis or shocks is probably going to be more complicated and expensive to repair. If you can save the presets, do it. Otherwise, you might have up to six unhappy customers. 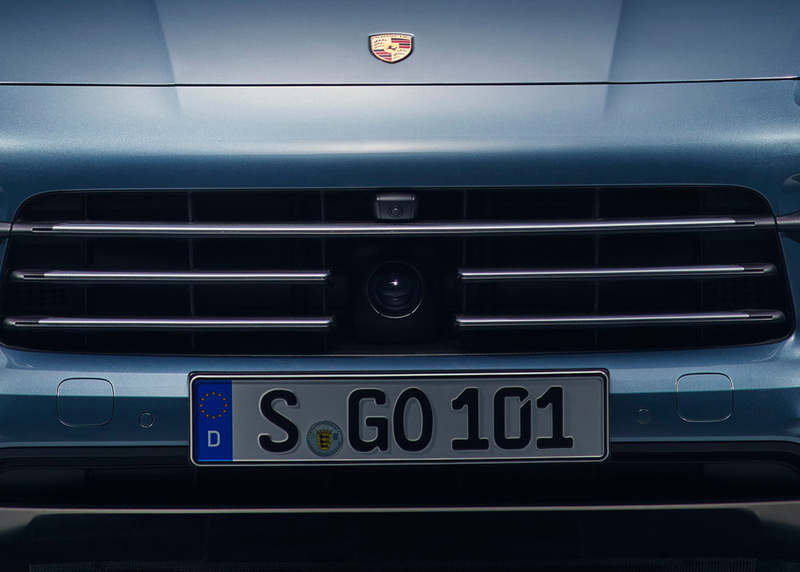 “Porsche Communication Management” saves six profiles worth of settings including those for lights and ADAS systems. In addition to a camera behind the windshield, there appear to be two cameras in the grille.